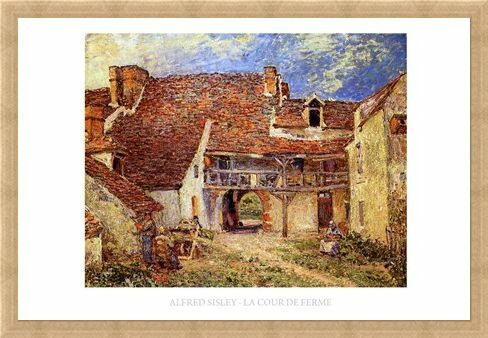 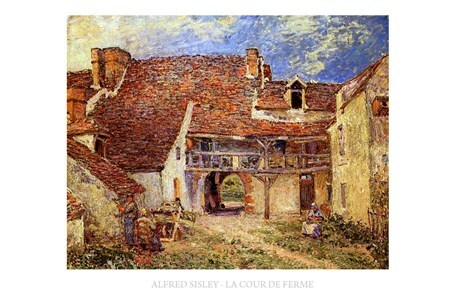 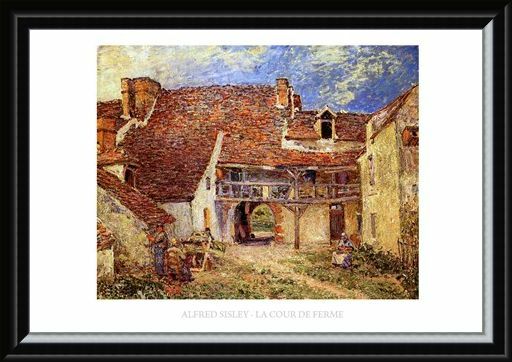 Art Print: Take some time out at your very own farm yard retreat with this charming impressionist print by the impressionist landscape artist Alfred Sisley. 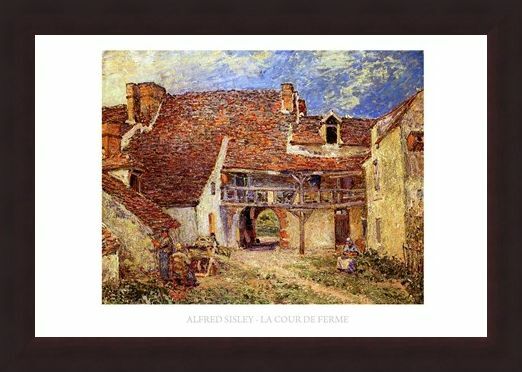 Set back from the road down a driveway of worn down greenery, this beautiful farm house boasts a roof of burnt orange tiles and a quaint walkway made from wood which runs through the centre of the buildings. 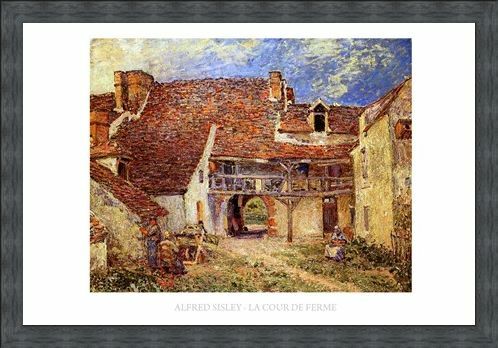 The farm workers go about their business looking on with intrigue as they are painted with precision and integrity, surrounded by their pleasant country abode. High quality, framed The Farmyard, Alfred Sisley print with a bespoke frame by our custom framing service.